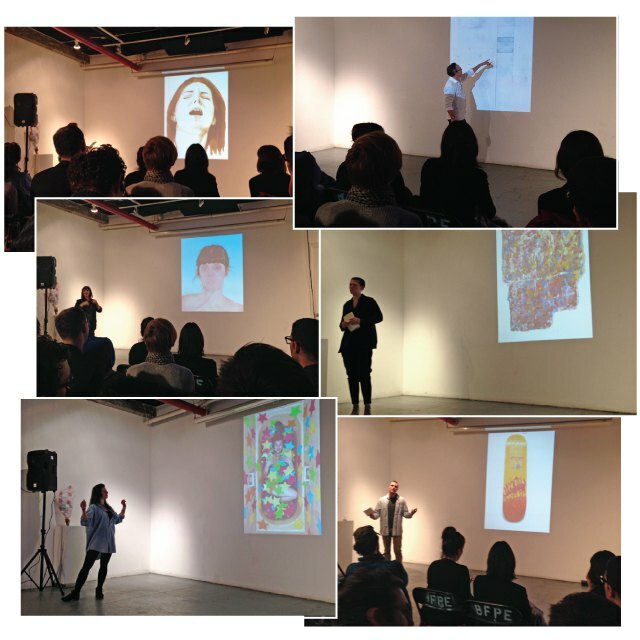 Bushwick Art Crit Group's 10 Dos and Don'ts for a Professional Post-Grad School Crit! 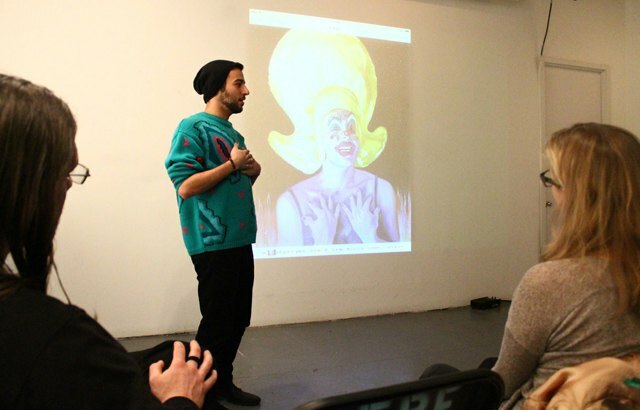 Recently, Bushwick Daily sat down with artist and Bushwick Art Crit Group's director of social media Drew Van Diest to get a one-on-one tutorial of just what it takes to give a great artist crit. Drew, as well as the entire BACG crew, are in a unique position to show you how it's done, as they are all artists themselves and they have all gotten up in front of that audience to partake in the 9-minutes that each artist is given during crit group, which meets at Brooklyn Fire Proof East once every month. Their next meeting will be held next Wednesday, October 15th. Whether you are a seasoned art world veteran, or you just took your first steps off the Jefferson L stop, everyone could use some of Drew's wisdom on the dos and don'ts of an art crit. Once you decide on what you want to say, practice, practice, practice! When he first got in front of the BACG audience Drew said he had made note cards, and practiced in front of a mirror. "Whatever makes you feel better and comfortable" about your crit will ensure that you feel good. He explains, "whatever you can do to feel positive and confident going into your crit [helps] make sure it's going to be effective." Just as no two artists are working in the same way, no two crits are exactly the same. While this might be self-evident, many artists can get bogged down in trying to prove something to the audience. Rather, Drew says to "focus on what is going to engage the audience, and just be yourself... that sounds so simple, but people can get really nervous and focus on trying to impress people the way they would in grad school, with technical terms... and it can come off dry. I think the most impressive crits are the people that are really honest about how the work is personally." If you've gone through a traditional MFA program, the word "crit" can conjure up a huge range of emotions and possibly even a traumatic tic. This ain't that kind of crit. Outside of the "mfa world," most people listenting to you talk about your work want you to succeed and are already interested in what you will say. "No one is there to rip the artist apart" Drew reassures me. "We want to hear you...no one should be nervous about crit." While many artists working today are channeling their own experiences and highly personal subject matter, this doesn't mean that you have to feel like you have to soul search during a crit. "There are many different types of successful crits...the general rule is play to your strengths" and "not get bogged down in what you think you should be doing or what someone else is doing." The most honest way to share your work, Drew explains, is to make sure it truly speaks to your work, and you're not just trying to say what you think you should say. Whenever you are doing a crit, or even a studio visit or speaking to a curator, think of your audience and the ideal group that you wish to reach. The BACG people especially are interested in helping artists network, and Drew says this is the number one under-utilized resource by his artists art crit. He emplores artists to think of who they'd want to see them speak. 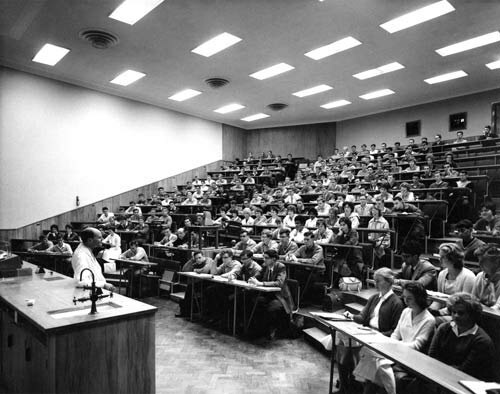 "This is our job...we will do our best to get those people to your crit sitting in the front row." Crit is a rare"opportunity to show yourself as an artist and really explain your work... when you're at an opening in a gallery you never get a chance to really explain to people in the gallery why you do your work or how." Inside or outside the world of The Crit, in today hyper-mediated world, many artists feel like it has become obligatory to self-promote their work on any every media platform at their disposal, which can feel daunting. "We now have the ability to self-publish...I think we should be empowered by this, not afraid of it" Drew says, yet also admits that this can be a distraction rather than help. "That being said, if your work is strong it should speak for itself and you shouldn't be afraid of putting yourself out there, but do it strategically." #8 Remember, you have 9 minutes! They are your minutes and use them wisely! BACG has scientifically calculated their nine minutes to exactly enough time for an artist to say what they need to say, and not let the audience get bored through the 7 artists scheduled each week. If you don't have enough time, remember to use the time after the crit to meet and greet. #9 BACG takes you seriously, you should too! 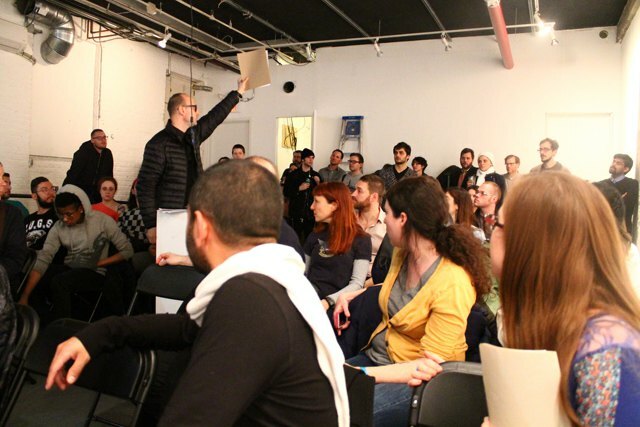 One of the most important things to remember about this crit format, is not only does BACG take you seriously, they believe in your work, and they believe in Bushwick. "The goal of BACG is to showcase the range and depth of the talent that exists in the Bushwick community, and it's meant to be a resource for artists, not something to discourage artists about their work." They take their role as both curator and cultivator very seriously. "The most important thing is that we are serious, and if you are there, we think you are going to be received well." #10 So, how do I get a crit at BACG? Come to crit! "We want everyone to do crit!" Drew says enthusiastically, yet also reaffirms the fact that BACG is a curated presentation of artists that are hand-selected based on their artistic merit. 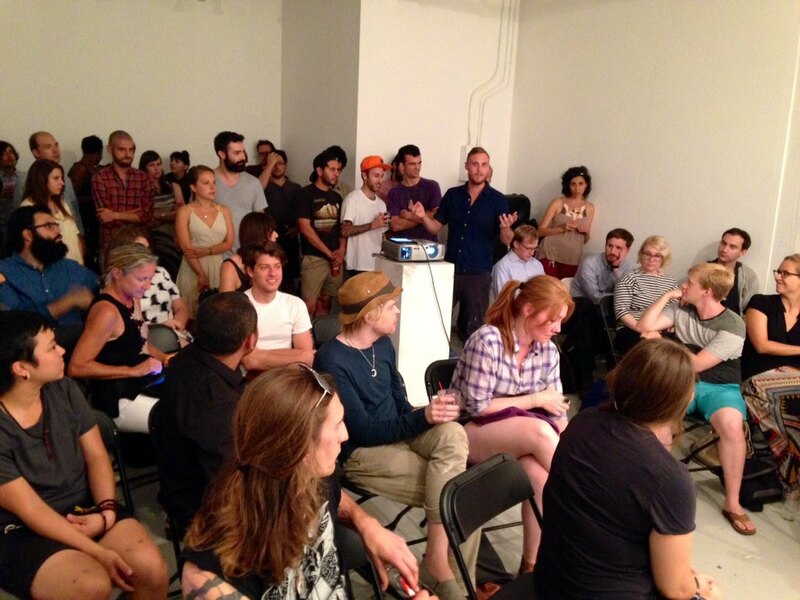 At the same time, BACG's open format allows for artists at every point in their career have a chance to do a crit. Right now they may be booked through next January, but don't let this get to you. "The people that get pushed to the front of the line are the ones that come to crit and actively participate" This can ring true for more than just crit. "Anyone can tell you, the more you show your face, the more people will remember... if you put something out there you'll get something back. BACG is growing and now is a great time to get involved! Recently the group announced their plans to take the show to Miami Art Basel in December, and have launched an indiegogo campaign to help them get there!